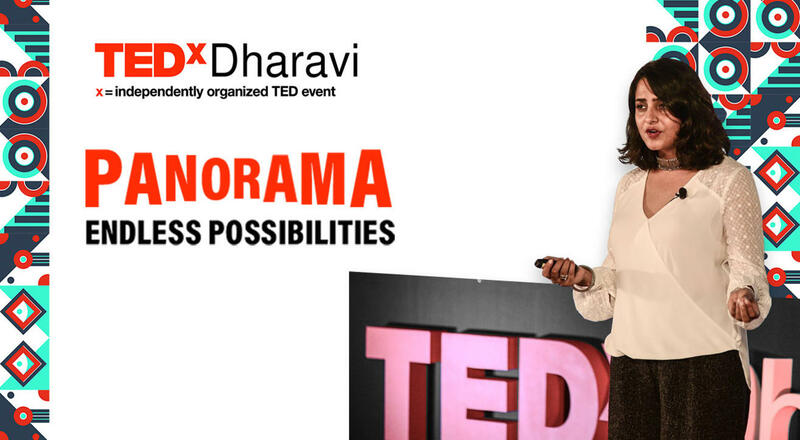 TEDxDharavi is an independently organized TED event operated under the license from TED. Like all TEDx events, this event also focuses on bringing people together on a common platform, make connections and share knowledge on the relevant topic of discussion..
At TEDxDharavi, we invite innovators, from different walks of life, sharing their amazing idea that could significantly impact the community. What does it take to break the boundaries & launch the lightest satellite in the world? Dr Srimathy Kesan is a visionary. Founder and CEO SpaceKidz India. Students from SpaceKiz designed Kalamsat - the world’s lightest satellite ever to be placed in orbit! Dr. Kesan has inspired thousands of students to pursue their space dreams regardless of their field of education, social status, and geographic location. She recently launched the first ever 3D printed femto satellite on a NASA’s Terrier Orion rocket into Suborbit. Dr Kesan will talk about her vision & redefining space dreams for Indian kids. Can you turn poachers to protectors? Bhau Katdhare is a reformer. Founder of Sahayadri Nisarg Mitra, Bhau has been instrumental in conserving vultures & turtles in Maharashtra. Bhau comes from a very humble background with no background in conservation but that did not stop him from mobilising villages & the government to conserve endangered species. Bhau will talk about changing mindsets to truly protect our nature in his talk. What does it take for a young girl from a conservative background to dream big and become a football star? Gulafsha Ansari is a rule breaker. At 22, she is a leading footballer in India encouraging girls from poor background to learn life skills through football. Gulafsha will talk about her journey of breaking stereotypes & redefining a girl’s boundaries. Can you break the mould & go from techie to a farmer? How can you open up a local artisan market to the world? Megha Gupta is a game-changer. The founder of DharaviMarket.com, Megha has made sure that this e-commerce initiative provides the local, skilled craftsmen and artisans direct access to local and global markets. She will talk about changing the lives of local artisans & preserving age-old art through technology. Do you believe in real heroes? Baburao Laad Saheb is your everyday behind the scenes hero. A director, painter, actor, producer, mentor, cameraman, photographer, and coach, Baburao has been training actors over 25 years free of charge. He will talk about his journey of making Bollywood dreams come true. Can we learn humanity from dogs? Shirin Merchant is a canine evangelist. Found of Canines Can Care, Shirin is dedicated towards canine training & counselling. She advocates the role of dogs in our society and will talk about her experiences with dogs which will change your view of the man’s best friend. Could Cinderella’s shoes have been made in Dharavi? Jameel Shah is dream chaser. As a successful celebrity shoemaker, Shah who creates designer shoes with locally procured materials through his venture Shah Shoes. Today, many Bollywood biggies are his loyal clients. Shah will walk us through his life & setting up a shoe empire from scratch. Can we provide insurance to all? How do we design interventions that work in urban slums? Debjani works in the area of Health care Communication Design. From being a User Researcher to managing public health program in public hospitals, she uses elements of co-design to understand perspective and behavior of people living in Urban Slums. Her talk is on how co-creation empowers the users to share their insights, which increases the persuasion and motivation to adapt any healthcare program. SlumGods is a Dharavi home grown hip hop crew of rappers, beatboxers & B boys. They conduct training for children and introduce them to the world of Hip Hop. SlumGods will be putting up a mind blowing performance for us on stage. Few more speakers to be released soon! Any one who loves watching TED talks or is inspired by amazing stories and unique ideas would cherish this event. We have a stellar line up of 10 speakers who are all set to deliver the talk of their life in under 18 mins and an amazing performance. What topics are covered by the speakers? Speakers will share ideas ranging from microinsurance pioneers, environmentalists protecting endangered species to visionaries launching the lightest satellite in the world. I am not from Dharavi, can I attend the event? Of course, every one is welcome to attend. The minimum age requirement is 13 and above. Is this event only about Dharavi? We have stellar line up of speakers from different walks of life. Although the event is centered at Dharavi, we focus on a diverse range of topics.